The ripple effects of the government shutdown are spreading rapidly in the federal court system. Chicago is home to the third largest federal court, the Northern District of Illinois, and hundreds of trials have already been postponed due to the shutdown. Chief Judge Ruben Castillo says if the shutdown extends beyond Friday, that number could grow into the thousands. Castillo says he’s met with all 560 employees of the federal court system in Chicago and has told them they are essential. So far, funding has allowed them to be paid twice this month. But Castillo says tough times are ahead for employees as the shutdown enters its second month. Castillo adds that putting hundreds and possibly thousands of cases on hold will have repercussions both in civil and criminal matters. He points out that there are many cases that lead to a defendant – be it a polluter or crime boss – being ordered to pay fines that help fund the government. Just two months ago, Castillo presided over the hearing of Mexican drug henchman Vicente Zambada-Niebla, a protégé of the notorious EL Chapo who is on trial in New York. Zambada-Niebla was ordered to forfeit nearly $2 billion in proceeds from the cartel. 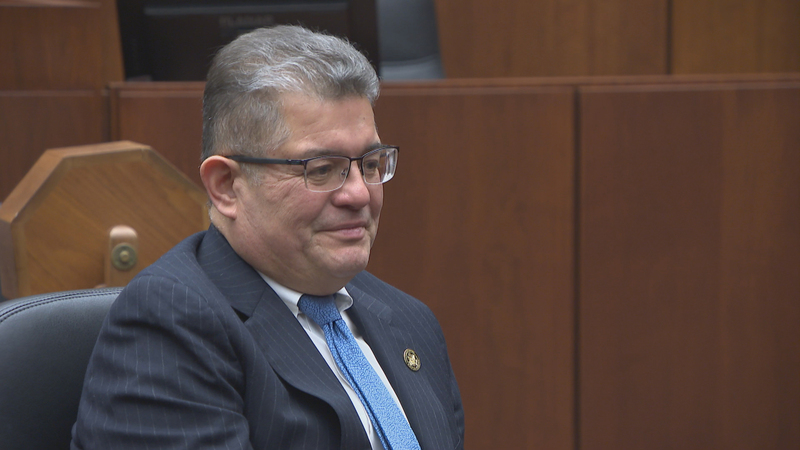 Castillo says the shutdown is also affecting crime-fighting in Chicago and the agents that risk their lives doing so. Castillo says the Oval Office meeting in December between House Speaker Nancy Pelosi, Sen. Chuck Schumer and President Donald Trump, during which video cameras captured a testy exchange, should never have happened. Castillo is also making the key parties in the shutdown an offer: “I’ll be happy to send a volunteer judge to D.C. to mediate.